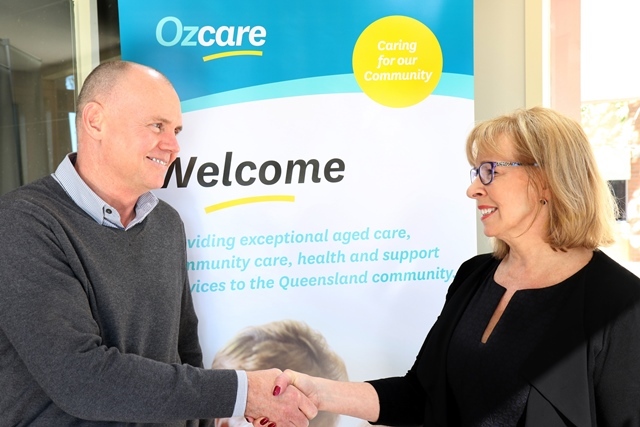 Tunstall Healthcare and Ozcare are excited to announce a renewed partnership, continuing to provide connected care services to older people across Queensland. Commenced June 1, 2016, the renewed partnership ensures Ozcare can continue to deliver innovative and superior health and human services to the Queensland community with Tunstall’s emergency medical alarm service. For almost 20 years, Ozcare has been a leading not-for-profit organisation of professional and caring individuals, providing a diverse range of health and community services, including aged care, nursing, allied health, dementia support, and other community support service. Operating globally for almost 60 years, Tunstall Healthcare supports people to live independently with a range of assistive technology solutions that enable clients to have access to help when they need it most. “Tunstall and Ozcare share common values of providing an innovative and high quality service to our clients,” said Tunstall’s Managing Director Lyn Davies. “Our renewed partnership aims to reach more Queensland seniors in need of alarm monitoring services and support to assist them to remain independent and safe at home,” she said. Damian Foley, State Manager for Ozcare, was proud to announce the renewed partnership for their home care package funded clients. “Working with Tunstall since 2013, we know our clients are pleased with the service and Tunstall care consultants, who are always helpful, welcoming and friendly,” said Mr Foley. “Their cutting edge assistive technology products enable our clients to stay living at home longer,” he said. Ozcare is a leading not-for-profit organisation of professional and caring individuals. For the past 19 years we have delivered innovative and superior health and human services to the Queensland community. Our commitment is to provide clients with the highest standard of care. Every day we provide aged care and community care, including health and support services, to over 15,000 Queenslanders.